Our school uniform in royal blue and grey is strongly recommended. 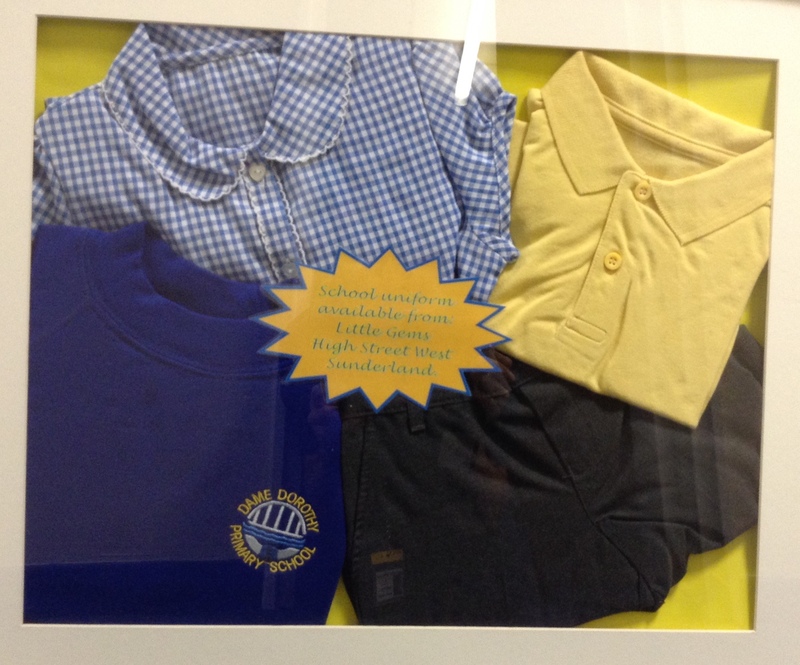 We recognise that children need comfortable hard wearing clothes for school, which are easy to wash. The children are asked to wear royal blue sweatshirts over yellow polo shirts and plain grey trousers or skirts. During the summer months we allow blue and white checked dress for the girls and grey shorts for the boys. High quality school sweatshirts are available from LITTLE GEMS in town. For health and safety reasons we ask that children wear plain, black sensible, flat heeled shoes or trainers for school. Boots are not suitable for wearing throughout the school day. The Head Teacher has the right to prohibit the wearing of certain types of clothing types of clothing or particular item which are deemed on safety or other grounds to be unsuitable for wear in school. Denim jeans are not suitable clothing and should not be worn. Hairstyles and haircuts which are deemed too extreme include tramlines, extensions, stars, shaved heads (no shorter than a number 2), extreme patterns ‘V’ styles, Mohican cuts and dyed, tipped or dipped hair. Pupils with long hair should also tie it back for safety reasons. School PE kit of blue T-shirt and shorts should be provided for PE lessons. Children are expected to change for every PE lesson. Trainers or plimsolls should be provided to change into for PE. 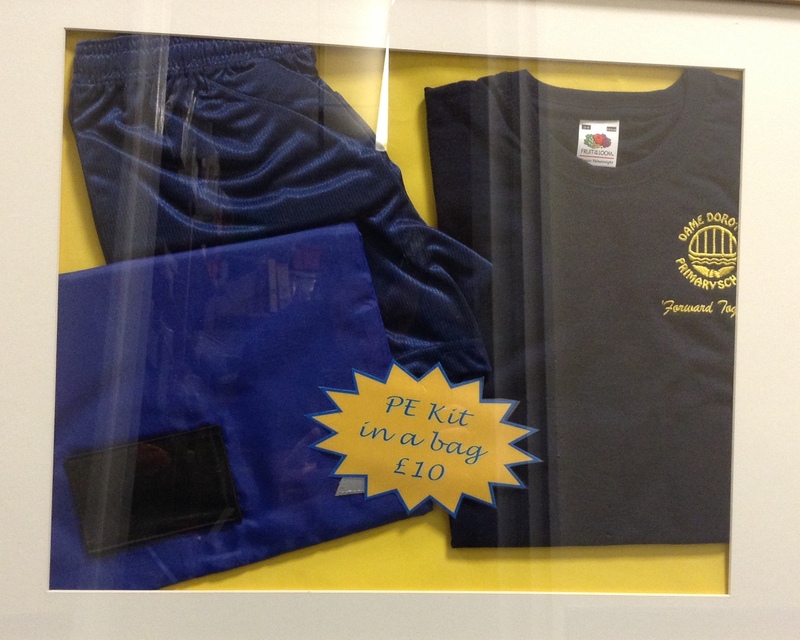 If you would like to purchase a PE kit they can be purchased from the school office. For swimming lessons we expect black swimwear to be worn. All children are expected to join in PE lessons. Exceptions are only made when a medical certificate or note is provided. A paper copy of the School Uniform Policy is available from the school office upon request.